In the current debate, an article in Germany’s largest online news portal Spiegel Online illustrates how difficult drawing the line between ‘authentic’ or ‘real’ and ‘fake’ Anonymous communication can be. After emphasizing the huge numbers of additional followers a facebook page called “Anonymous.Kollektiv” allegedly run by Anonymous had received during #OpISIS (the page attracted 400.000 new fans within just one week in addition to their previous count of 1 million), the article points to the questionable content the site shares. Main topics are conspiracy theories, general criticism of “the lying media” (“Lügenpresse” in Germany) and many other more or less right-wing political issues. But then, at least conspiracy theories and criticism of mainstream media are also recurrent themes of many other social media accounts attributed to Anonymous. At many places in the web, activists are unmistakebly distancing themselves in the name of Anonymous from the site and its political orientation – and they have been doing so for a long time. While the site initially had clear relations to Anonymous, this is no longer the case. Typical issues of Anonymous such as fighting against online censorship or against Scientology are marginalizd at the site Anonymous.Kollektiv. Anonymous only rarely attacks the media. Quite to the contrary, the collective is fighting for freedom of information and of the press. It’s not least the press and the social networks that helps the activists to bring their operations and protests into the wider public. Anonymous.Kollektiv instead paints the picture of the lying press (“Lügenpresse”). The problem with this list is that it just contains assertive statements, that is, speech acts merely claiming that something is or is not true. However, what Dennis and I observed in our paper was that merely assertive speech acts may not be enough to reinstate or change the boundary and identity in the context of highly fluid phenomena such as Anonymous . Rather, what is necessary are carefully crafted, explicitly performative speech acts, which change the boundary by being uttered (something we refer to as “declarative identity claims”; see Wikipedia for Searle’s distinction between different types of speech acts). 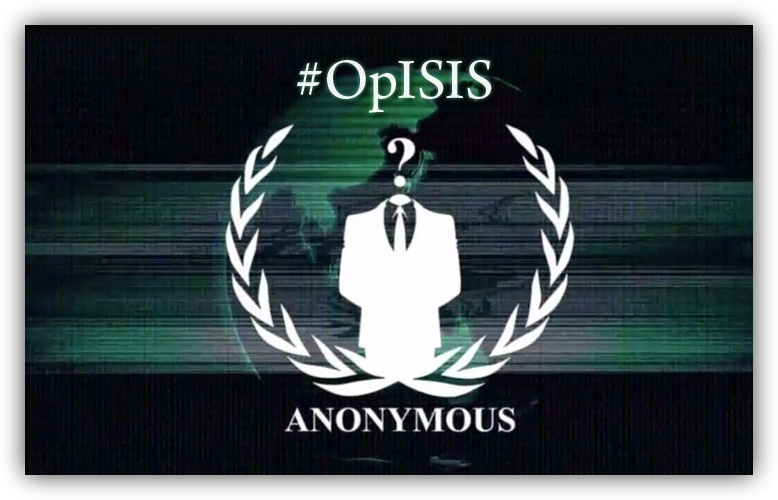 In the case of the fake Anonymous page free-riding on the attention provided by #OpISIS, such a declarative identity claim could be revealing the personal identity of one of the sites administrators (a practice called “doxing“) or, better even, to take over the account and thereby prove to be the “superior” hacker. In a way, this would performatively demonstrate who could legitimately speak on behalf of the ‘real’ Anonymous.